The Microsoft Money Plus Sunset Deluxe free personal finance software was released in May 2010 to replace earlier versions of Microsoft's Money software program. Microsoft Money programs like Money Plus Essentials, Money Plus Deluxe and Money Plus Premium were officially discontinued in June 2009. Read up on the details to determine if Microsoft Money Plus Sunset has the features and functionalities you need. Previous versions of Microsoft Money required you to activate the software online to prove your purchase and to use the program. Money Plus, the most recent retail version, is no longer available for purchase. As a result, internet services and technical support for the program have also expired making activation, and the activation code you once paid for, unnecessary. You can install Microsoft Money Plus Sunset with no activation requirement, although the software now comes only with online self-help tools. While the software carries a free price tag which makes it attractive, you lose certain features in exchange. If you only need to track a few personal financial accounts, Microsoft Money Plus Sunset Deluxe might be a good option for you. If you have an old Money version installed and want to preserve your online functionality, such as online bill pay, online quotes and the ability for Money to initiate transaction statement downloads, don't install Money Plus Sunset over your older Money version. If you do, you will lose access to these features. Import transactions to accounts using OFX or QIF. Manually enter transactions into financial accounts. Use scheduled transactions to plan for paying bills on time. Create and track a budget. View and print a number of reports for income and expense, assets and liabilities, and investments. Monthly financial reports and some income tax reporting are included. Link images and documents to transactions. The navigation of Microsoft Money Plus Sunset Deluxe works identically to the former Money Plus program. However, some features no longer exist even though the link or tab that once held the feature does. Transaction and account statement updates from directly within the software. The option to set up Internet Updates still exists in the software but does not function. Updates for investment values and transactions. Updated Help file. If you click on Help, you will find references to features from previous versions of Microsoft Money. Windows Live ID support. Switch to using no password protection or to Money’s standard password authentication method to avoid the headache of eventually needing to use offline authentication to try to open the Money data file. Data sync with MSN Money online services. If you can't do without the discontinued features, consider another Windows personal finance software option. 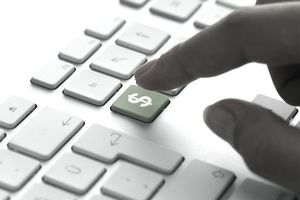 Money Plus Sunset can be installed on its own as a stand-alone software program or as an upgrade to any U.S. version of Microsoft Money software. But it cannot be run with another version of the software on the same computer. Any previously installed version of Microsoft Money will be un-installed when Money Plus Sunset Deluxe is installed. If you need to reinstall a previous version of Microsoft Money, you will have to uninstall Money Plus Sunset before doing so. If you purchased any version of Money Plus, Microsoft recommends keeping a copy of the original software and a copy of your most recent activation key. Keep a copy of Money Plus Sunset Edition as well. Microsoft Money Plus Sunset Deluxe runs on Windows 7, Windows Vista, and Windows XP. While Microsoft Money Plus Sunset is not supported on Windows 10, you can follow these steps to download it.